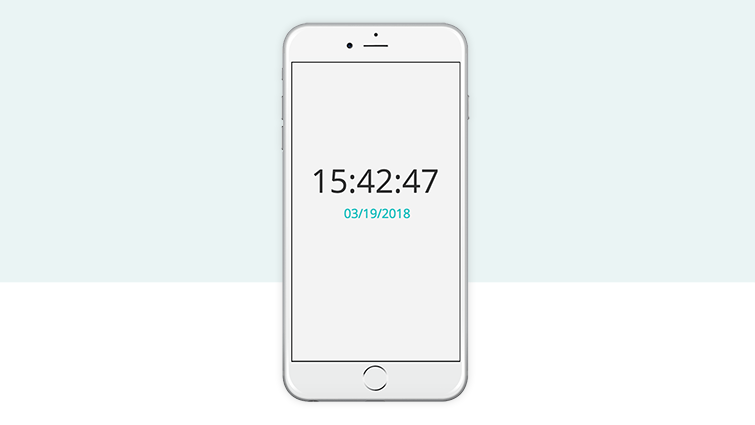 With Justinmind, you can display the system’s date and time in your prototype. In a new prototype, drag two Text widgets to the Canvas, one above the other. Select the top Text element and go to the Events palette. Click “Add Event” and add an “On Page Load” + “Set Value” event, selecting the top Text element as the target of the “Set Value” action. Below, for the value, click the “Calculated” radio button and then the “Add Expression” text. You’ll see the Calculated Expression builder appear. Drag the “System Time” Constant to the open space in the expression and click “OK” twice to exit the builder. Back in the Canvas, select the bottom Text element and go to the Events palette. Click “Add Event” and add an “On Page Load” + “Set Value” event, selecting the bottom Text element as the target of the “Set Value” action. Below, for the value, click the “Calculated” button and then the “Add Expression” text. In the Calculated Expression builder, drag the “System Date” Constant to the open space in the expression. That’s it! Click “Simulate” to see the system’s time and date displayed in your prototype.